It took two years for Ashly Burch to record all of Aloy's dialogue in Horizon Zero Dawn. This was after about a year of auditioning for a mysterious new project from the creators of the Killzone series -- Burch had no idea what this new game was or even which role she was auditioning for. She had no idea it was the beginning of a new mainstream, multi-million dollar franchise from Sony Interactive Entertainment, and she didn't even realize she was reading for the lead role. "I think I'm just extremely lucky," Burch says. 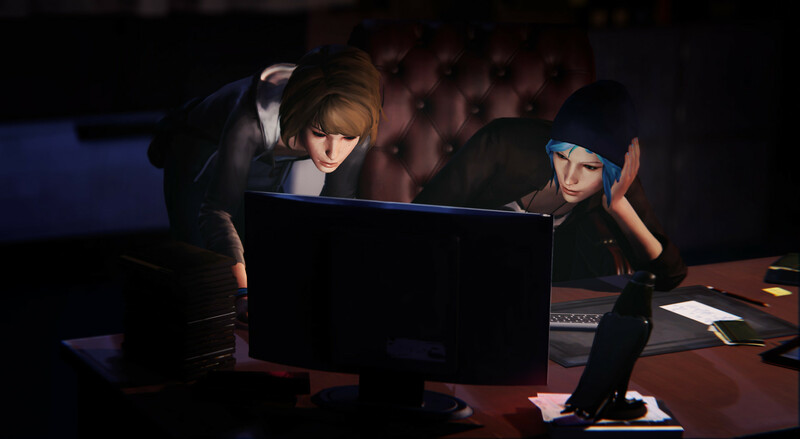 "I had no idea what Life is Strange was going to be when I auditioned. I had no idea what Horizon was going to be when I auditioned." Oh, right: Burch is also the voice of Chloe in the hit narrative adventure game Life is Strange. She also has roles in Borderlands 2, Mortal Kombat X, Team Fortress 2, Gravity Ghost and a handful of other mainstream and independent games. Before even that, Burch was a regular name in the gaming world with her online series, Hey Ash, Whatcha Playin'?, which she still produces with her brother, Anthony Burch. They have more than 280,000 subscribers on YouTube alone. "The intention was not for it to be the thing that led to all the other things," Burch says. "It kind of just happened that way." However, this isn't where Burch's story begins. She blames her entire career path on one moment in one game that she played around the age of 12: When Metal Gear Solid's main character, Solid Snake, is introduced, his name appears in text alongside that of his voice actor, David Hayter. Pre-teen Burch had no idea who Hayter was, so she looked him up and realized he was the man behind the blocky 3-D animations. He was Solid Snake. "It was the first time it sort of clicked in my head that these characters have real adult humans who are voicing them," she says. "That was kind of the thing that made me realize I wanted to do that, too." Burch got her start in acting on a public scale around 2008 with Hey Ash, Whatcha Playin'?, and her first role in a video game came in 2012 with Borderlands 2. Burch voices Tiny Tina, a hilarious demolitions expert who eventually starred in her own DLC pack. Borderlands is a high-profile franchise -- not a bad gig to kick off an emergent voice-acting career. Of course, Burch had a man on the inside at Gearbox Studios: Her brother, Anthony, was hired as a writer on Borderlands 2, and halfway through his creation of Tiny Tina, he realized he was writing the part for his sister. He didn't offer direct nepotism, but he suggested Ashly try out for the role. She did. In a blind audition process, Burch read for Tiny Tina, and Gearbox hired her. 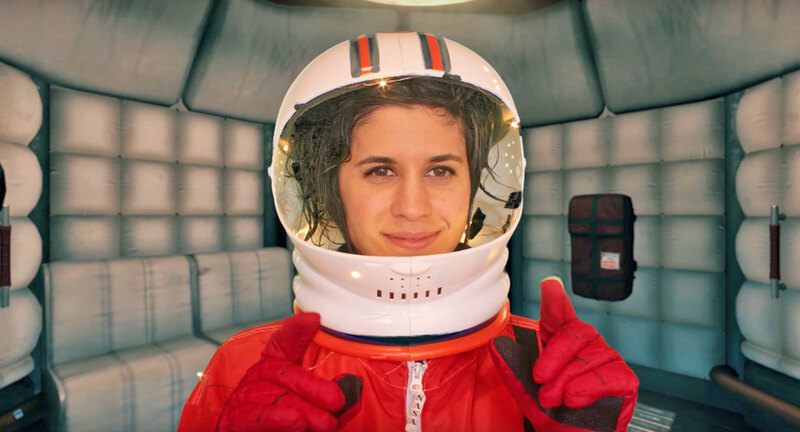 Nowadays, Burch is a BAFTA-nominated voice actress (for her work in Life is Strange) and an Emmy-nominated writer (she helped pen the Adventure Time episode "The Hall of Egress"). She's most well-known as the voice of Chloe, a deliciously rebellious teenager in Dontnod's sci-fi infused drama, and Aloy, the star of Horizon Zero Dawn. By virtue of her gender, Burch has the privilege of playing powerful women in a field dominated by masculinity and male protagonists. At one point she mentions her admiration for Jennifer Hale, the actor who plays the female version of Commander Shepard in the Mass Effect series: "I was in awe of her performance and the ability she had to make every dialogue choice feel organic." Burch says it's an honor to act in similar roles. "Chloe alone from Life is Strange is the role of a lifetime, and the fact that I was able to be Chloe and then also have the opportunity to play Aloy -- it's incredible," she says. "It's a gift. It's truly a gift." Burch creates rich characters by ruminating on the place of women in the video game industry and infusing her roles with rich backstories and complex motivations. As a writer, she understands the nuances that make a compelling character, and as an actor, she attempts to bring these subtleties to life. "When we create female characters, I think often there is a tendency to kind of make female characters emotionally bulletproof," Burch says. "You've heard people talk about the 'capital-S Strong Female Character' who's sort of humorless and doesn't really have a spark and is sort of flawless in their execution. "They just don't feel like fully fleshed out, real characters. And I really didn't want Aloy to feel that way. I really wanted Aloy to feel strong and resilient but also have a rich emotional psychology and be able to feel afraid and feel curious." Horizon is one of the first breakout hits of 2017, garnering glowing reviews for its rich narrative and visuals. Aloy is a supremely skilled hunter who's raised on the outskirts of a matriarchal tribe settled among the ruins of modern civilization. Dinosaur-like robots prowl the valleys ,and pieces of advanced technology are scattered throughout the world, lending a mysterious sci-fi air to the entire experience. 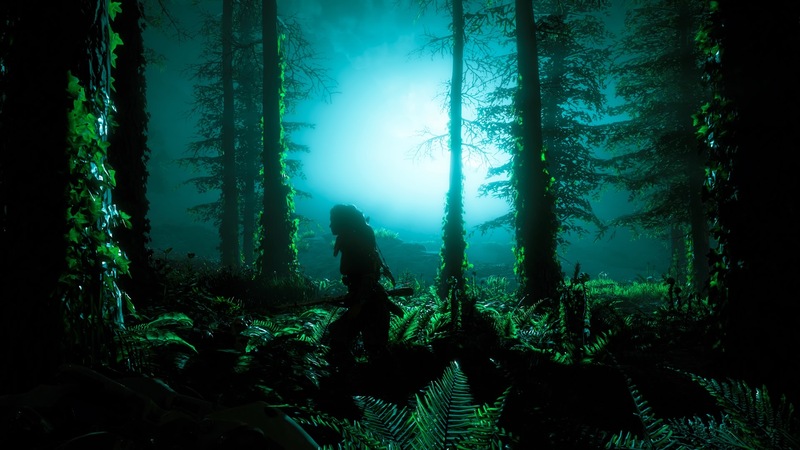 Horizon is easily a 30-hour game for the main quest alone, not including all of the optional missions that players can complete. Burch recorded every branching line of dialogue, gasp of amazement, throwaway comment and reaction sound over the course of two years, in complete secrecy. This long, isolated production process allowed Burch to get inside Aloy's head. Alongside the directors, Burch spent much of her time in the recording booth simply figuring out who Aloy was and why she would react in certain ways. "We spent a lot of time finding her," she says. Burch found Aloy's spark in a wry brand of humor and sense of fearless adventure, two traits that she hoped to infuse into the character. 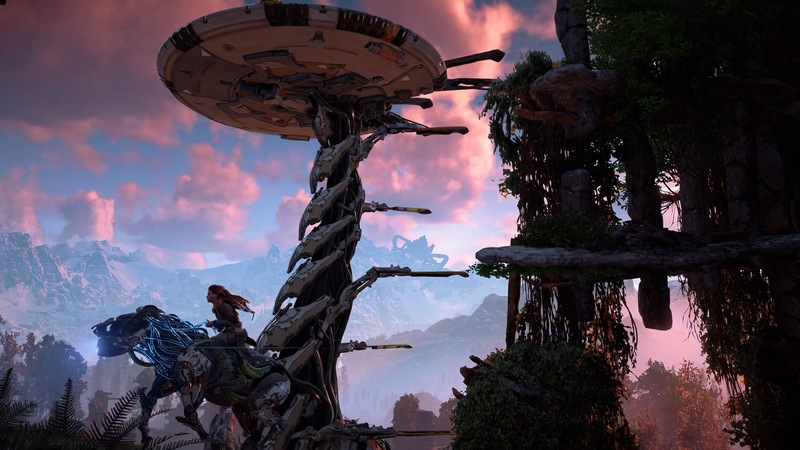 Aloy is fundamentally a strong person, but her life has been lonely and difficult, and these insecurities occasionally bubble to the surface as Aloy makes her way across Horizon's vast landscape. "What I hope is conveyed when people play the game is that she's a deeply strong and resilient person," Burch says. "She's lived as an outcast her entire life, and she's become a survivalist, and she's really good at taking care of herself and at fighting for things that she believes in. But there's also a bit of loneliness and a weariness to her, and also a deep curiosity and an excitement about going into this new world and exploring these places she's never been able to go before." Burch wanted to convey these traits with every line, keeping Aloy's character true and steady throughout the entire adventure. However, she realizes most players probably won't even hear the bulk of her work. Horizon is a huge game with multiple branching quests, miniature storylines and hidden secrets; it's possible to complete the game and still have dozens of hours of content left to explore. Not to mention, many players have a hard time finishing games in general. "Some of the work that I'm proudest of in that game -- there are a couple of moments in particular that I think a very, very small percentage of players are going to find," Burch says. Without spoiling anything: Burch's favorite scenes involve Aloy visiting the gravesite of a lost loved one and discussing her journey. It's a truly human thing to do, Burch says. "Even though she is an extremely mature and capable young woman, she's still a young woman," she explains. "And this is still something that she doesn't really know how to deal with. She can take down a huge giraffe robot, but she can't necessarily parse how she's feeling about the grief that she's experiencing. That was a really powerful scene for me." Burch is particularly enthused about Horizon because it's a huge, new franchise from Sony, one of the biggest names in gaming -- and it stars a woman. As more attention is paid to diversity within the video game industry, there are more roles for women to go around, but mainstream titles are still dominated by male protagonists. "I think it's extremely special that there's a new IP coming out for a major AAA game that has a female protagonist," Burch says. "And she's surrounded by other strong women, specifically women and men of color. ...It's such a big deal." Burch never expected to end up as the lead voice actor for a major new gaming franchise, and she certainly didn't think her silly sketch comedy show would lead to a BAFTA nomination, let alone a fulfilling voice-acting career. But it has.